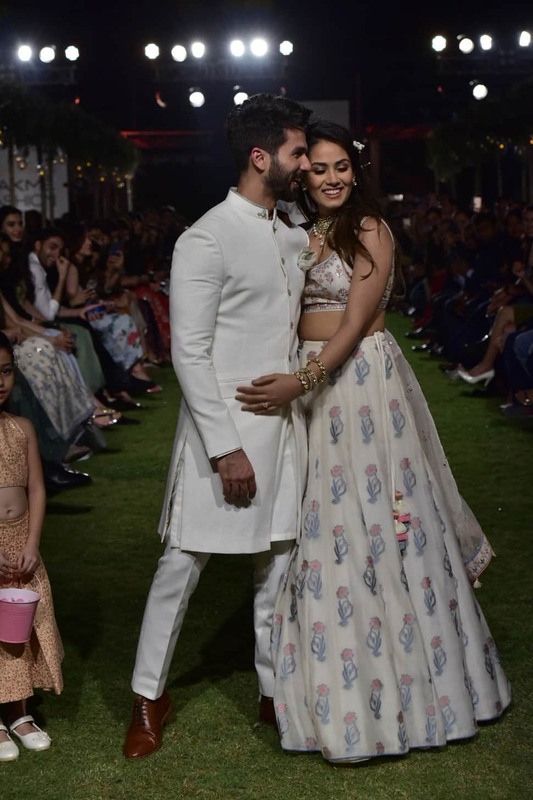 Shahid Kapoor dazzled as he walked the ramp with his wife Mira for Anita Dongre during the Lakme Fashion Week Summer/Resort 2018 in Mumbai on January 31, 2018. 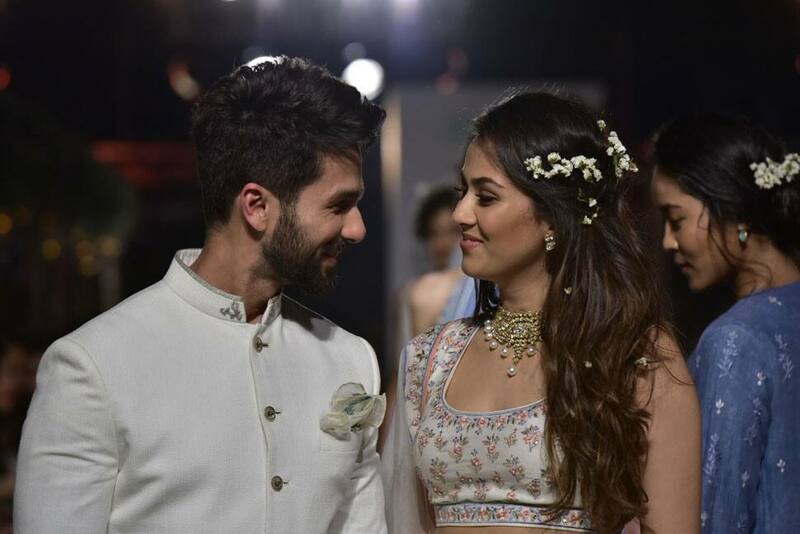 Shahid and Mira had an arranged marriage. They tied the knot on July 7, 2015 at a Gurudwara in the NCR. Their wedding was a private event only attended by family and close friends. 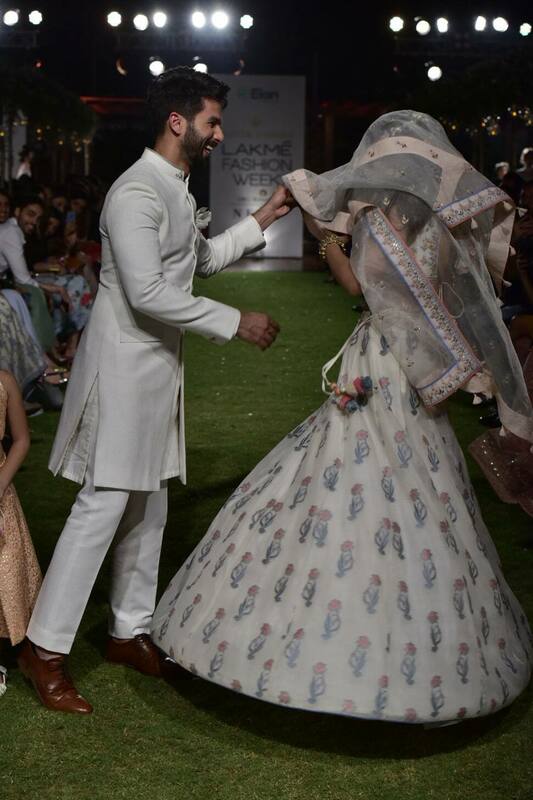 Shahid and Mira look adorable together. They were blessed with their first bundle of joy – a daughter – who they have named Misha on 26 August 2016.